2. To make the croutons, heat the olive oil and butter in a large ovenproof frying pan over medium heat. Add the bread and shake the pan for 5–6 minutes or until golden and crisp. Drain on paper towel and wipe the pan clean. 3. Add the olive oil to the pan and place over medium heat. Season the fish with salt and pepper, then cook, skin-side down, for 4–5 minutes or until golden. 4. Turn the fish over, then transfer the pan to the oven and cook the fish for 5 minutes or until it is just cooked through. Remove from the pan and place on serving plates. 5. Pour off any fat from the pan and return to low heat. Add the butter, and as soon as it starts to foam, add the lemon segments, capers, croutons and parsley and toss to combine well. 6. 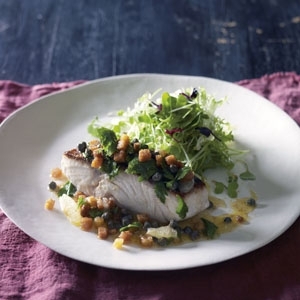 Pour the sauce over the fish fillets and serve immediately with a mixed leaf salad. 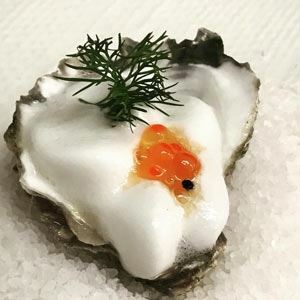 More delectable recipes by Manu Feildel are available in his cookbook, "Manu's French Kitchen". Read more in the AGFG cookbook review blog. 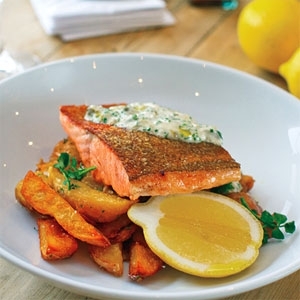 Fabulous flavours from the heart of Wollongong. 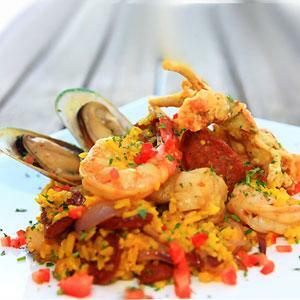 A traditional delight, tossed with saffron rice, fresh seafood and spicy chorizo.